A disappointing race by the high standards of this season still provided a generous dose of drama when the victorious Ferrari team were found guilty of issuing team orders to their drivers during today’s German grand prix and if Fernando Alonso and Felipe Massa are excluded from the results by the World Motorsports Council then Sebastian Vettel, who finished third, will become only the second German driver to win his home race. Vettel appeared to have damaged his chances of making a real dent in the world championship lead of Lewis Hamilton and Jenson Button when, for the second race in a row, he made a terrible start from pole position and was beaten into the first corner by both Ferraris. Having made a mistake that can lead to failure in a normal driving test he was in no position to defend as the red cars blasted by on either side of him. If a good proportion of the local fans were willing Vettel to a home victory a sizeable number were there to root for the only German to win a world championship race in his homeland, but it is plain to see that Michael Schumacher is not the force he once was. The seven-times world champion finished ninth on the road, behind his team-mate Nico Rosberg once again, but on the 59th of the race’s 67 laps the leaders lapped Schumacher. It was a sad sight and another pothole on an increasingly sorry comeback road. For McLaren, whose drivers Lewis Hamilton and Jenson Button hoped to trouble the leaders despite starting from the third row of the grid, this was a disappointing day as they trailed in forth and fifth nearly half a minute behind Alonso. Button, too, is concerned about McLaren’s pace when they were so hopeful that upgrades on their car would not only put them on the pace of the Red Bulls, but ahead of them. Although McLaren were not in the same league as Vettel and the Ferraris today Button was not about to point the finger of blame at the team. “We don’t voice our displeasure,” he said of himself and Hamilton. “We help the team find a new direction. We say where we think the car is weak, we are the guys who are sat in the car and are the ones who know what happened. Making the biggest strides this weekend were Ferrari, who were on the pace right from the first session on Friday. Whether they reap the rewards of their improvement will be settled at a later date but in this topsy-turvy season the Prancing Horse is back and operating at full gallop. The teams head to Budapest for the Hungarian grand prix next weekend and, as things stand, the title fight is now a five-way contest. 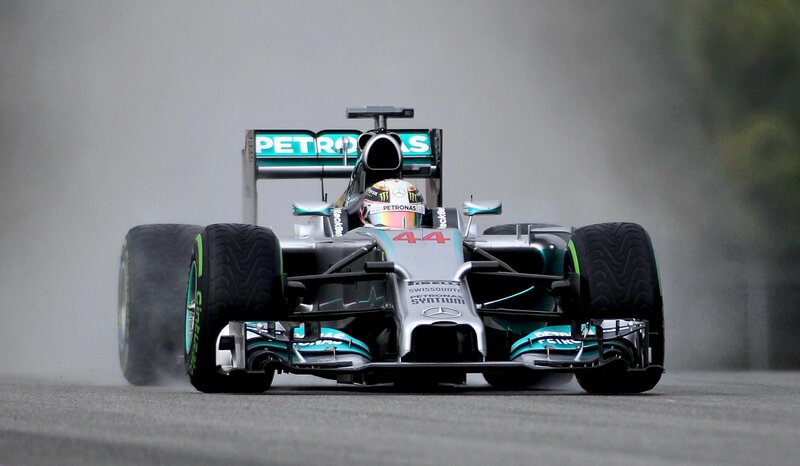 Hamilton leads the way on 157 points with Button on 143. Both Red Bull drivers have 136 (Webber was sixth today) and in fifth is Alonso on 123. Massa is back in eighth, 72 points adrift of Hamilton and out of the reckoning. That is the likely reason that Ferrari made the call that could yet make today’s efforts pointless.